ZTE could be readying a huge Windows Phone 8 smartphone, after an employee posted a photo of a previously unseen handset online. The picture appeared on China's version of Twitter, Weibo, and was posted by ZTE's head of market strategy Lu Qian Hao. There are two handsets in the image, one white and one black, and according to the message which accompanied the post the phones boast a super-sized 5.9-inch display with a full HD resolution. If genuine this huge ZTE handset will have the likes of the Samsung Galaxy Note 2 and LG Optimus Vu 2 for company at the smartphone-tablet hybrid end of the mobile market. 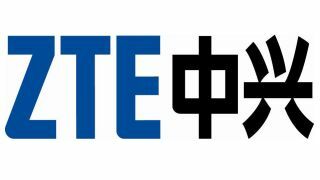 Something which does raise our suspicious though is that Windows Phone 8 doesn't currently support full HD displays, so unless Microsoft has an update on the way, it's unlikely this ZTE handset will be able to boast such as high resolution screen. There's no word on a name for this mega smartphone, nor is there any sign of a release date, but previous reports have suggested the Chinese manufacturer will look to launch its first Windows Phone 8 in early 2013 – so watch this (huge) space.